A tentative formula for "liberty". Not really computable, but possibly helping to sharpen ideas on this fundamental concept, going the Shannonian way. - A formal definition of liberty by Pierre Berger. - L-system: chain rewriting system, invented by Aristide Landemayer. See a text by Hart, in [Ebert] p. 305 sq. Label . "Image label" refers to an image where the pixels of a same region all have the same value, called the region's label [Cocquerez] p.43. Landscape generation software products have been on the market for long. Bryce is the most well known. - A printing mode (as opposed to "portrait"). < Interactive landscapes, by Daan Roosegaarde. Nai Uitgevers 2010. < Paysages 3D, by a collective. Eyrolles 2003. 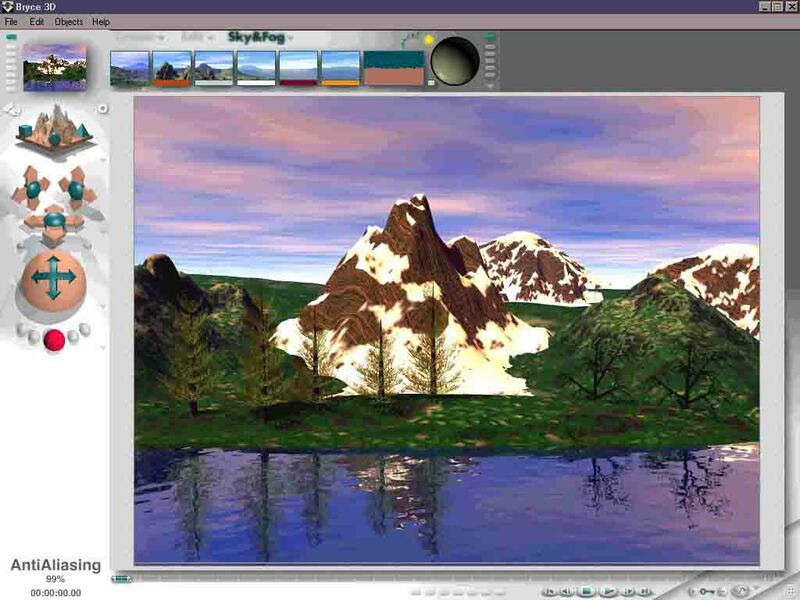 - Landscape generating software. (a comparative study, 7 pages in 3DMag, 1-2/2011).
. Vue (e-on software). Number One for landscape creation. Many versions.
. Vista Pro. The most ancient.
. MojoWorld. See [Ebert]. Version 3. Variants.
. TerraGen. Version 2, Version Classic. Free for non commercial use. "Spiritual heir of Vista Pro". 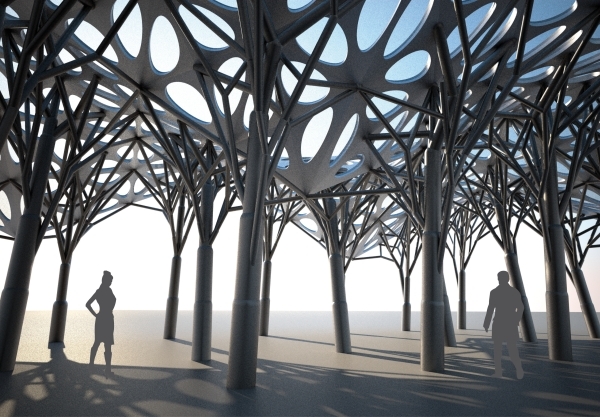 - See: atmosphere, plant modeling. 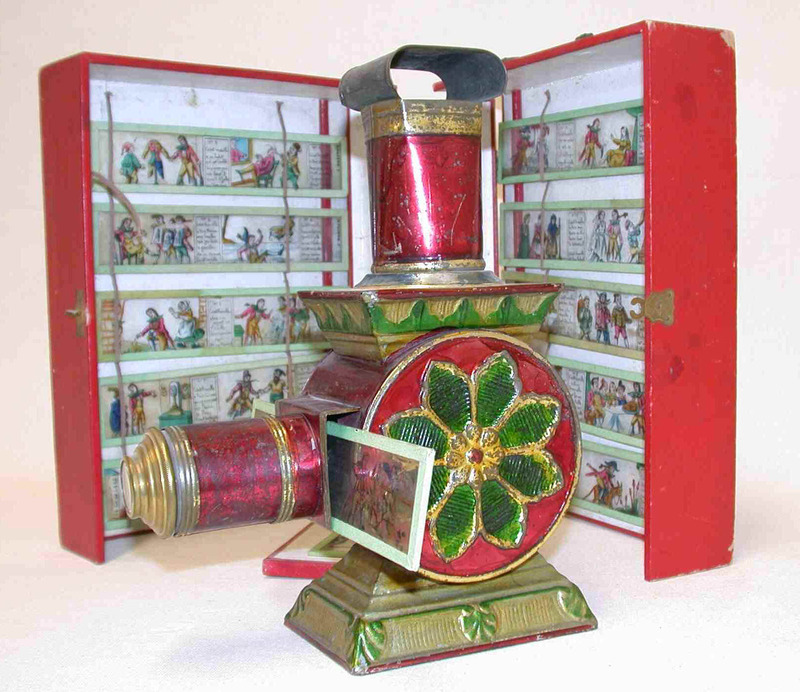 The magic lantern is an ancestor of cinema and computer presentations. Not digital stricto sensu, but yet far advanced in the fragmentation of a story in successive views. Somehow an ancestor of the cinema montage, if we assimilate each plate with a film shot. Lantern (magic). An ancestor of presentations and education software. .
- Mémoires de l'ombre et du son. Une archéologie de l'audio- visuel. by Jacques Perriault. Flammarion 1981. - Complex mathematical function . [Bres] p. 225-227 uses of it to look for "zero crossing", ence the borders inside an image. Laser. Is used as a printing technology as well as a light source for light shows or for storage (CD Roms, DVD). - Lasers. Interaction lumière-atomes, by B.Cagnac and J.P. Faroux. EDP Sciences 2002. - Les lasers, principes et fonctionnement, by René Dändliker. Presses polytechniques et universitaires romandes, 1996. Lasso. A region selection in graphic software. [Photoshop] for instance. - Generally, a nuisance. But, if our retina lacked its remanence function, it would be difficult for us to see anything. - Globally thinking, as say the Italians "chi va piano, va sano". Laugh. [Ebert]: textures for face expressions. See expression. - Mathematical [Bres] p.289 sq. indicates that Laws has proposed a formalization of filters (spatial filtering) in five categories. - K & L Gates, solutions for the e-commerce. Paris offices. In June 2013, a meeting on "Object mutations", in partnership with Cap Digital and Paris-ACM-Siggraph. < The future prospects for intellectual property in the EU: 2012-2022. by Gevers F. (ed). Gevers, Brussels, 2011. < Art ef fiscalité, droit fiscal de l'art, by Véronique Chambaud. Ars Vivens, Paris, 2013. - In music, a layer is a set of devices. Example "This coupling is done not only upon the same layer of faders, but also upon two different layers". Lazy evaluation algorithms. [Ebert]. Lazy evaluation avoids intermediary issues of geometry, since it executes geometrical synthesis procedures only when necessary. LED, LED art. See notice. - Tomorrow, the computer will send images to our eyes through simple contact lenses, lets us think an article by Paul Marks in New Scientist, 11/22/2011 (indicated by ACM Technews). - And the day after tomorrow, by an implant directly connected to the optical nerve? LERP, lerping. [Ebert]. In computer graphics, linear interpolation is familiarly called lerping. It is used, notably, for antialiasing. Lettrism . [Bootz]. More in French. Contact lenses, will replace glasses and goggles, Paul Marks says. Level (in games). See [Co]. - Is computer use a constraint of a liberty enhancer? Nick Lambert tries to give light on this issue with two chapers of his thesis Computer Art. No clear conclusion. .
- A tentative formal definition by Pierre Berger. - L'art de la liberté. Doctrines et débats de la Révolution française. by Edouard Pommier. Gallimard 1991. Libraries tend to become multimedia. Here a view from ADDNB, which fosters digital applications by cooperation between librarians. - L' ADDNB is a center for talks among library professionals. It groups 170 libraries. Chairman (2011): Michel Fauchié. 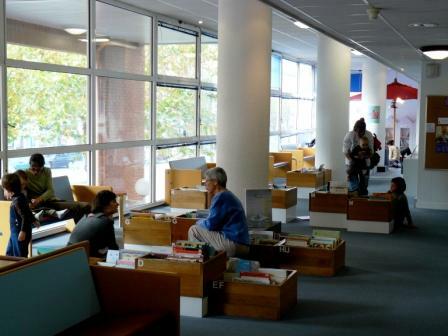 - Evolutions sociotechniques des bibliothèques numériques. F. Papy ed. Hermès-Lavoisier 2011. - Les bibliothèques numériques. F. Papy ed. . Hermès-Lavoisier 2005. SH No 48 (concepts). - Hybrid library (French médiathèque).
. A collection of multimedia documents. These institutions are multiplying in territorial collectivies, notably to extend the services provided by traditional libraries.
. Intervention of Eric Le Guay in Baume-les-Messieurs (5/6/2011). - Licensing transmedia, a full chapter in [Bernardo], and important process in the whole transmedia domain. Life. See our notice on Bio-art. Light, lighting, light painting. See special notice. - Lineto[Java] and any graphic language. - In general [Agoston], [Foley], [Processing]. - Ridge for water parting. A segmentation technique. [Cocquerez]. - Median line [Bres] p. 332 sq. uses the median axis to solve some problems of image digitization. - A lot of data in [Gonzalez]. - A small live animation with lines, by Xavier Gouchet. - In graphics programming, coding, interpolation [Brinkmann], [Gonzalez]. - Non linearity of stories in hypertext and transmedia, see [Rose], the chapter Forking Paths. Synonym: Hyperlink. In hypertext, and specially on the Web, calling a page, from the same site or another one. A sort of art? Liquid modeling calls for a lot of mathematics. Here a water surface, with lights. - Modeling, [Ebert] See water. - Representation of a liquid flow. See a text by Svakhine et al. in a IEEE tutorial. Lisp. The purest of programming languages. But of difficult use. - According to [Ebert] ,the functional languages like Lisp make a strong use of compositing techniques. - Index of writers quoted by diccan. See poetry. - Page Leonardo and a large set of texts by Philippe Bootz: Les basiques, la littérature numétique. Leonardo Olats. - Electronic literature (Wikipedia): a literary genre consisting of works of literature that originate within digital environments and require digital computation to be read. In contrast to most e-books, electronic literature usually cannot be printed since key elements of the text require computation: for instance there may be links, generative aspects, multimedia content, animation or reader interaction in addition to the verbal text. Example: hyperfiction. 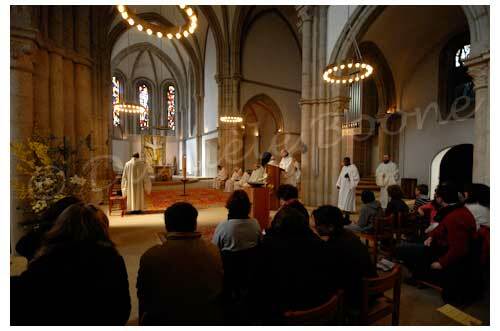 Liturgy at the abbey of La Pierre-qui-Vire. Photography by Boone. < Transliteracy and new media, by Sue Thomas 9 pages in [Adams]. <The present (future) of electronic literature. by Dene Grigar. 16 pages in [Adams]. < Electronic Literature: New horizons for the literary. in N. Katherine Hayles. USA Illinois. University of Notre Dame Press 2008. < Littérature, informatique, lecture. Alain Vuillemin and Michel Lenoble eds. Pulim, 1999. < Theory of Literature, by René Wellek and Austin Warren. Penguin 1949. < The Structure of Literature, by Paul Goodman. University of Chicago Press, 1954. See: Oulipo, Alamowriting, poetry, book, Jean d'Ormesson, Escarpit. - More in the French version. Liturgy. In every religion, liturgy may be considered the central art, of which arthitecture is no more than the frame. They have digital features, would it be only for the complex computations of holy days. Live Cinema. A place where visual and sound are created live, during the performance itself. See a lecture on this topic. Live Coding. Wikipedia. 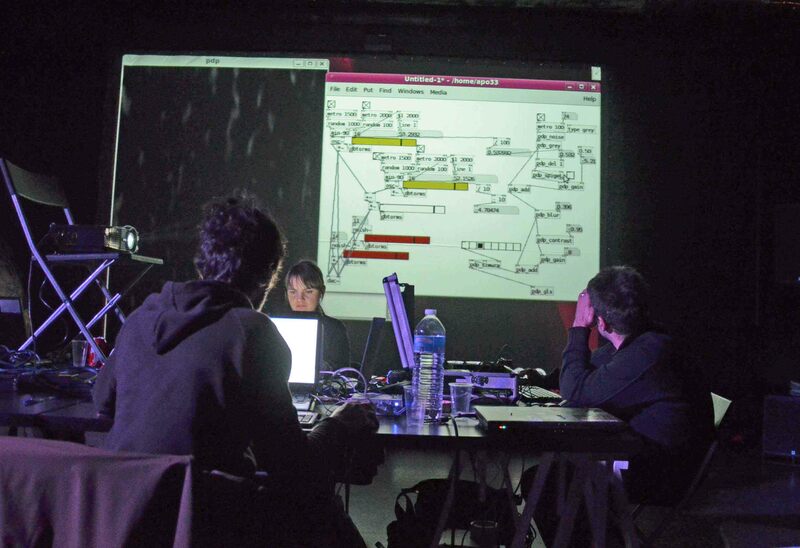 An art form where performers are programming live. A kind of improvisation. - Rather long notes in the Alex McLean, thesis, PDF. - The program of La Fabrique (Nantes), which in 2012 hosts several nights on that activity. - Usine by SensoMusic, ambitious, complex, powerful and creative. - Our interrogations: see French version. - "Living art" is a term chosen by Florent Aziosmanoff in his book. Relational art would fit better to his project, but the term has been put intot theory by Nicolas Bourriaud. See behavioral art. - Video of Florent Aziosmanoff at Cube (Issy-les-Moulineaux, France) on 2/18/2010, to launch his book Living Art, CNRS Editions 2010. Living Lab . A Europe labelled name. See Website. - Some 30 French organizations got the label (see the list). Locative media make full use of GPS, cell phones, etc. as well for fun, for profit ("Where is the nearest hotel?") as for political engagement. Here a screen of Geospatial Structure, by Laura Kurgan, on Columbia Univesrtiy website. - Sound walks in town, with audioguide, see [Leloup, 2013] pp. 79 sq. - Some artists of this domain are politically engaged. See for example the "Virtual War" chapter in Tactical Media by Rita Raley. - Imayana, multimedia tack, interactive and fictional. Augmented reality on a tactile tablet. An article signed by Annick Emery in Sonovision, Sept. 2012. - Use of GPS. For example see Yong Lim Yi. - See cartography, the location as transmedia. - See the work of Laura Kurgan. Logo. (History) A well structured didactical language. 1971. Still used by some teachers. - Logo, langage pour tous. by Leroy. Micro-systèmes, STSF 1985. Loop is a fundamental control structure in programming. Design and debugging may be made easeir by graphic represenations such as organigrams (Here in tutorial by Patrice Rabiller). - A control structure in programming. see [Harel], [Java], [Processing]. - A kind of component in electronic music. Love. A major art topic. < Rencontres et contacts sur Internet. by Gilles Fouchard. Simon & Schuster, Paris 1998. - See gender. More in French. - Used notably for anti-aliasing. See [Ebert]. L-System is used in the project Blurring Structures at University of Kassel, Germany, faculty of architecture, departement of structural design (Prof. Grohmann). - Long developments in [Ebert] p.307 sq. It is a string rewriting method, interesting for examle in plant growh modeling. The form grammars are of the same kind. See form. - See [Edwards]. Quoted by [Berger-Lioret] p. 151. Lumigraphy. Concept proposed by Bastien Carré. See French version. Luminaton. An idea by [Schillinger].